NOVEMBER 23--Joseph Jones, 73, was sleeping in a Motel 6 room in Spartanburg, South Carolina late Sunday evening when he was awakened by a phone call. The male caller, who identified himself as a hotel administrator, spun out a bizarre story about a prior guest having left “highly sophisticated cameras” in the guest’s room. 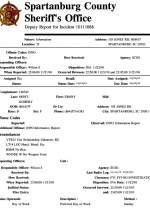 The man told Jones that “he would tell him what to do to get rid of them,” according to a Spartanburg County Sheriff’s Office report. 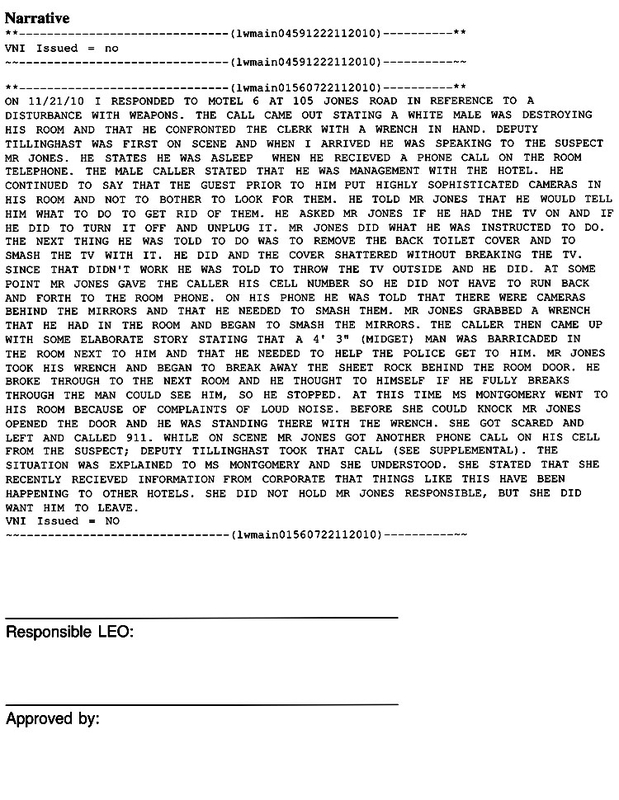 At the caller’s direction, Jones took the ceramic toilet tank cover and smashed the television (presumably a hiding place for a hidden camera). 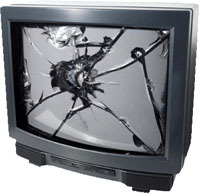 Since the cover shattered without breaking the TV, the caller told Jones “to throw the TV outside and he did.” Jones was then told that cameras were “behind the mirrors and that he needed to smash them.” The guest complied, grabbing a wrench he had in the room to smash the mirrors. 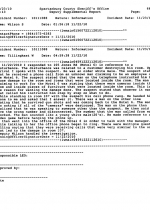 The call, of course, was not coming from the front desk, but rather was a prank bearing the hallmarks of Pranknet, the online group of miscreants whose damaging hoaxes have been frequently chronicled in these pages. Pranknet (which is also known as Prank U or Prank University) specializes in social engineering and manipulation geared toward damaging businesses and embarrassing victims. 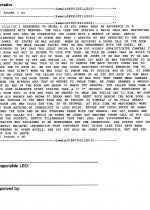 A Pranknet figure told TSG that members of the group--which broadcasts its pranks live on the Internet--were calling guests at a variety of Motel 6 guests Sunday night and attempting hoaxes. 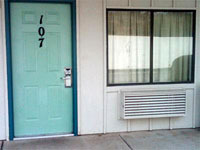 Motel 6 is a preferred target because Pranknet members can call directly into rooms without having to know a guest’s name. The prank on Jones did not end after the elderly man smashed his room’s mirrors. 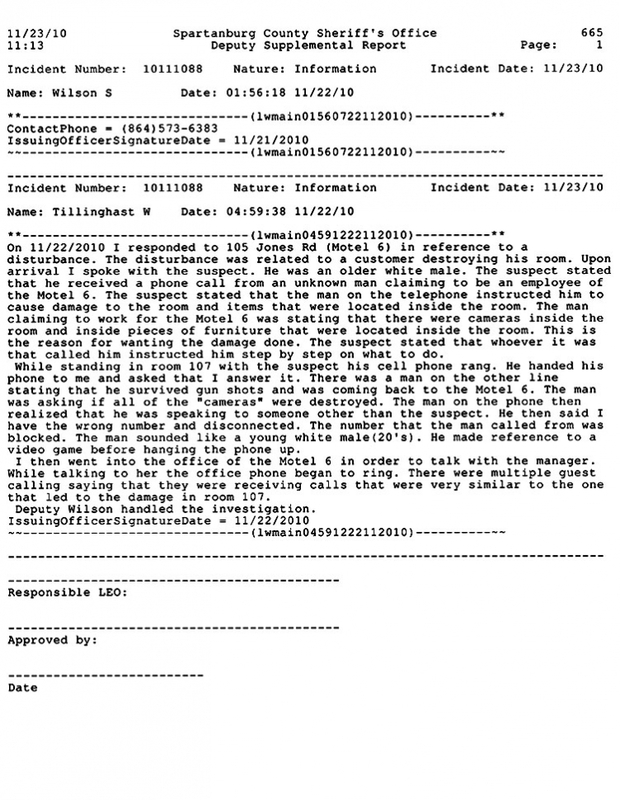 The caller, investigators reported, came up with “some elaborate story” about a midget being barricaded in an adjoining room, and that “he needed to help police get to him.” Jones used his wrench to “break away sheet rock behind the room door,” nearly punching through to the room next door. 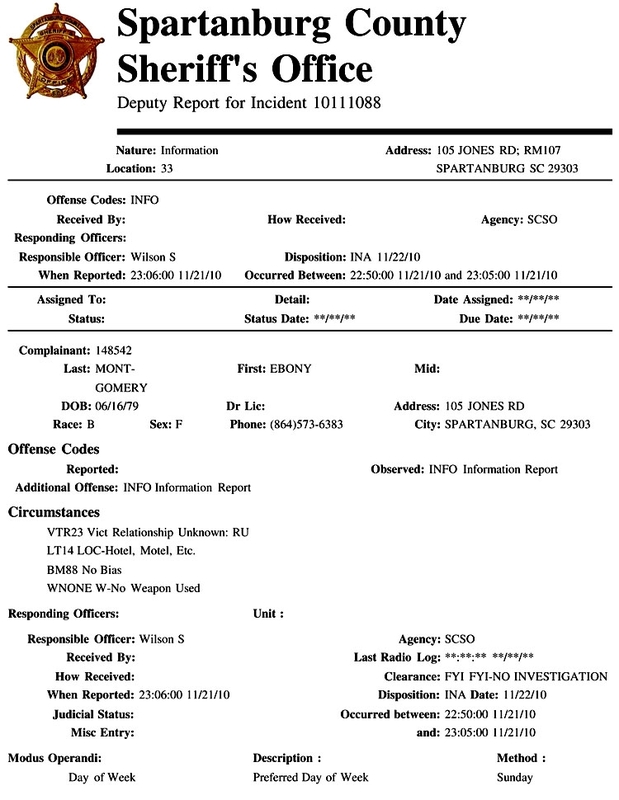 At this point, hotel manager Ebony Montgomery arrived at Jones’s room in response to noise complaints lodged by other Motel 6 guests. When Jones, wrench in hand, opened the room’s door, a scared Montgomery left and called 911. Submitted by Balls of STEEL on Thu, 2010-12-23 00:08. Submitted by tough-aint-enough on Thu, 2010-12-16 23:45. "Tillinghast noted that the prankster “sounded like a young white male (20’s).”" And if he had sounded Black would he have said anything? Submitted by antivard on Sat, 2010-12-04 22:26. Sooo... does this mean that its always a prank when someone tells you to trash something? I mean, sometimes its for real. Right? Just curious. Submitted by unyversalone on Wed, 2010-12-01 13:05. lol!!!! what an idiot. if somebody calls my hotel room & says there are cameras hidden throughout the room i'm packing my things & heading to the front desk to get my money back. Submitted by moonridden on Sat, 2010-11-27 15:01. Jeez -- stop using the word "elaborate". "Ridiculous" maybe, but elaborate? All they did was make a phone call and use the same stupid lines they've used in the past. Submitted by Bob Manning on Wed, 2010-11-24 14:50. How dumb are people you ask??? 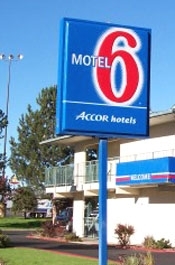 They stayed at a Motel 666, didn't they? Submitted by RicardoCabeza on Tue, 2010-11-23 23:58. How dumb are people? I have to shake my head, what a sheep, a guy on a phone tells you to wreck a room and this mutt does it? Pathetic. Submitted by killshot71 on Tue, 2010-11-23 17:44. I bet this is what happened to poor Charlie Sheen.